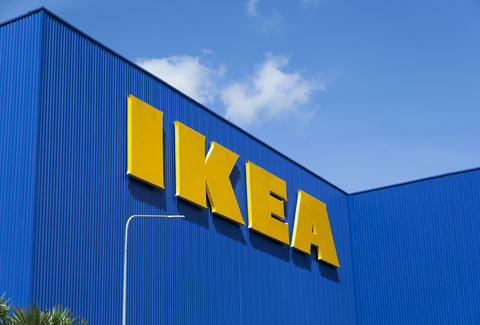 IKEA opened with much fanfare on December 14th, but local craftsman Caleb Sweazy is taking on the giant by offering free local delivery of his furniture AND a homemade meatball sandwich. I know you’re excited to get to the new IKEA, so I’ll be brief. As a local bespoke furniture maker I understand your passion for interesting design. Interesting design and meatballs are what IKEA does. I know that my business model is different than the giant Swedish company. My prices will be somewhat higher but I can tell you, your grandchildren will be able to serve dinner to their families on one of my tables. I’ve listed some of my current pieces here for you to peruse: http://calebsweazy.bigcartel.com/. Free shipping for my Memphis people. Use the promo code "localsonly" at checkout. And, just to Sweden the deal (see what I did there), I’ll deliver all the pieces sold locally with a homemade meatball sandwich. Sweazy has been making furniture off and on for over twenty years -- between making music and modeling -- but now it’s his full time gig. He won’t divulge his meatball recipe, but he says his inspiration comes from reusing and re-inventing things. “My parents let me take apart my toys and listen to Steve Martin albums. It's likely their fault,” he jokes. Years ago he built several pieces out of flooring from Skateland, a defunct skating rink. More recently he was able to get his hands on a couple of lanes from Imperial Lanes, a defunct bowling alley. Materials like this don't show up every day, so a large part of his work comes from American hardwoods, a local distributor. “Most of my work is commission based. I meet with clients, look at the space then custom design pieces to fit their needs. Good design inspires me,” he says. Another customer, Kelli Martin, is gluten free and says she is not used to being able to enjoy offers like this. “I thought Caleb’s meatball sandwich offer was so clever and kind of thought he was kidding, but he offered to make a gluten free version, on roasted kale,” she says. Sweazy says he’ll keep making meatballs as long as there is a demand. Meanwhile, Martin is eagerly awaiting the delivery of the custom table Sweazy is making for her balcony. And just so you know, Sweazy also makes pies. Stacey Greenberg is a writer in Memphis.